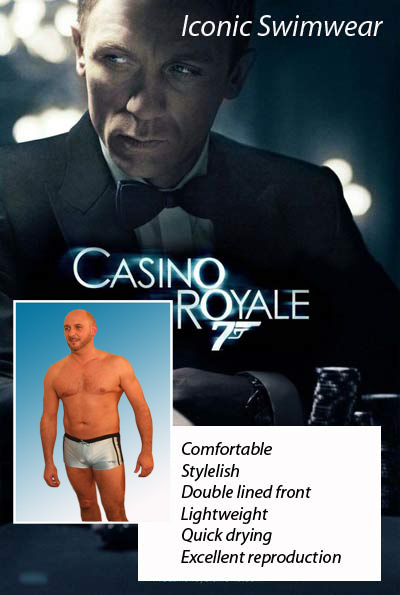 The latest addition to our popular James Bond range. Designed in a modern hipster style and sporting a CASINO ROYAL logo. 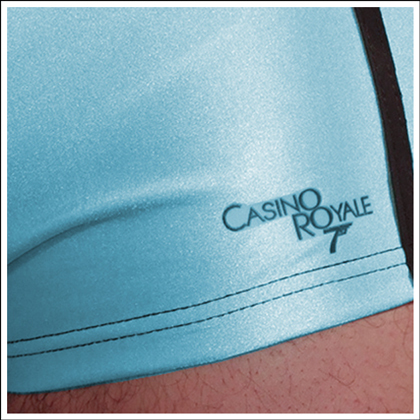 Casino Royale logo consists of a high grade heat pressed transfer. Ordered the J Bond 007 trunks which arrived very promptly. I was very happy with the quality and style. They are very comfortable to wear and the fit is great. I shall definately be ordering the black and white now. Mark.